Reports are coming out about the passing of Robin Robert's 88 year old mother, Lucimarian Roberts. Lucimarian Tolliver Roberts was the first African-American to head Mississippi’s Board of Education. 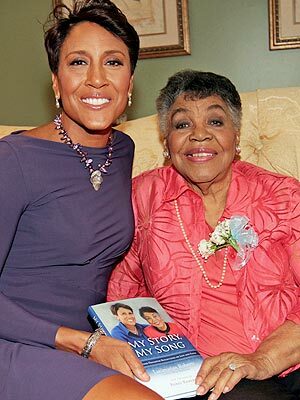 She was passionate about music and poetry and authored a book this year titled “My Story, My Song,” on which Robin Roberts collaborated. Her mom's declining health was the reason why Roberts took her medical leave from 'Good Morning America' a day early. Roberts is scheduled to undergo treatment for a bone marrow disorder called MDS. She wanted to be by her mother's side during her transition. Fortunately, she and her sister were able to say their goodbyes before their mother passed.